“Because he’s the hero Gotham Cleveland deserves, but not the one it needs right now. So we’ll hunt him. Because he can take it. Because he’s not our hero. He’s a silent guardian. A watchful protector. A Dark Knight.” – what Dan Gilbert should’ve said in his letter in 2010. I can hear the cries of euphoria echoing in Los Angeles all the way from Lake Erie. The prodigal son, LeBron James, is returning home to Northeast Ohio, announcing his decision in an essay to Sports Illustrated. Love him or hate him, LeBron James’s announcement transcends the world of sports. 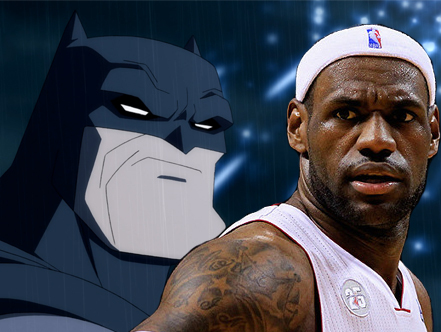 And, when looking at his life and career, it is hard not to think of him as the NBA’s version of Batman. James, like Bruce Wayne, was born into a city in dire need of a hero. Cleveland needed a symbol of hope just as much as Gotham did. Fans had become so accustomed to seeing their teams on the losing end of such memorable moments as The Drive and The Shot that many wondered if the city was forever cursed when it came to winning a championship. But when LeBron James was drafted first overall by the Cavaliers in 2003, you saw an instant change in the city’s perception of their team. For the first time in years, there was optimism and a sense of possibility. Cleveland had become a true championship contender in the NBA, something no one had been able to say for almost two decades. James’s first few years with the Cavaliers were like the early years for Batman. He became more than just a man; he became a symbol of hope and prosperity for the city, and even led the Cavaliers to the NBA Finals in just his fourth season. But as the years passed and Cleveland’s championship drought continued, the pressure began to build. And then came “The Decision”. 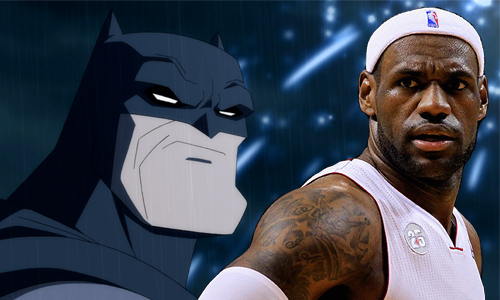 When James announced on national TV that he was taking his talents to South Beach, I immediately envisioned that final scene in The Dark Knight when Batman rode off into the darkness with the Gotham police hot on his trail. James, like Batman, had become a traitor to the city he loved, and the wounds were too deep to heal right away. It took eight years before Batman returned to the streets of Gotham in The Dark Knight Rises. Eight years of Bruce Wayne having to listen to how terrible Batman was for the city, and how everyone was better off without him. While James’s absence from Cleveland has only been four years, it has felt like an eternity for his hometown. They watched as James led the Miami Heat to the NBA Finals in four straight seasons. They watched as James lifted two title trophies with the Heat, knowing deep down that those were supposed to be their trophies. They watched James ride through South Beach in victory parades, knowing he should be riding along the shores of Lake Erie. Their hero had left them. So while the sports world gathers itself in the wake of James’s announcement, it should be noted that his homecoming does not signify the return of the king. It is the return of the Dark Knight.